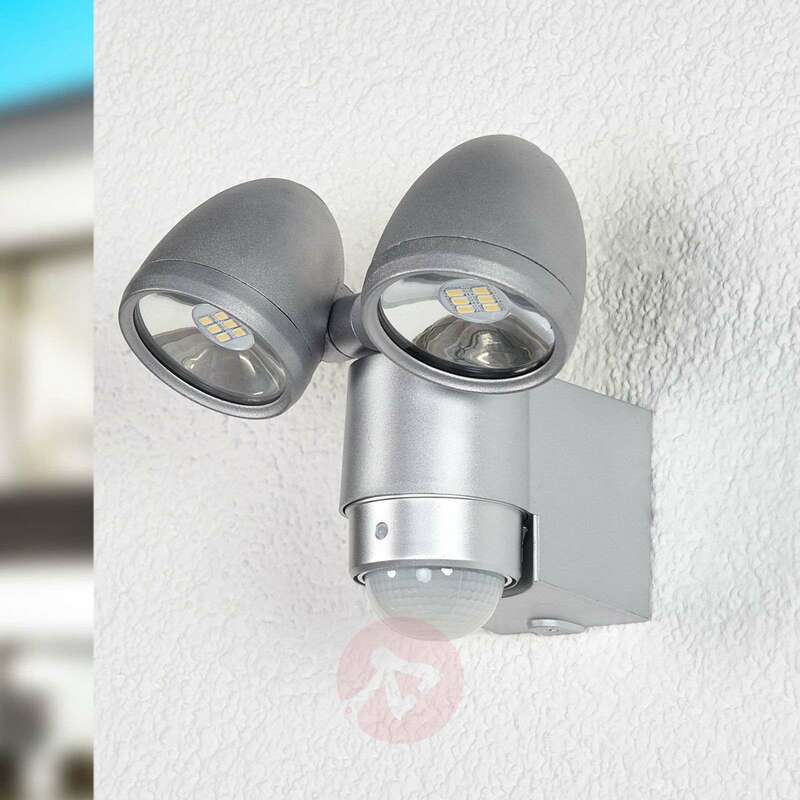 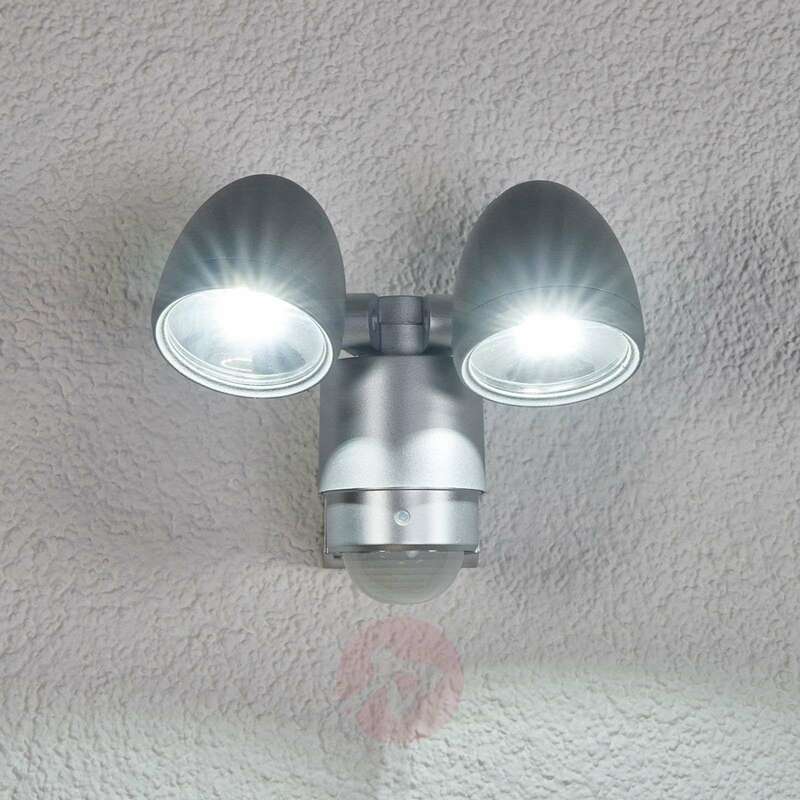 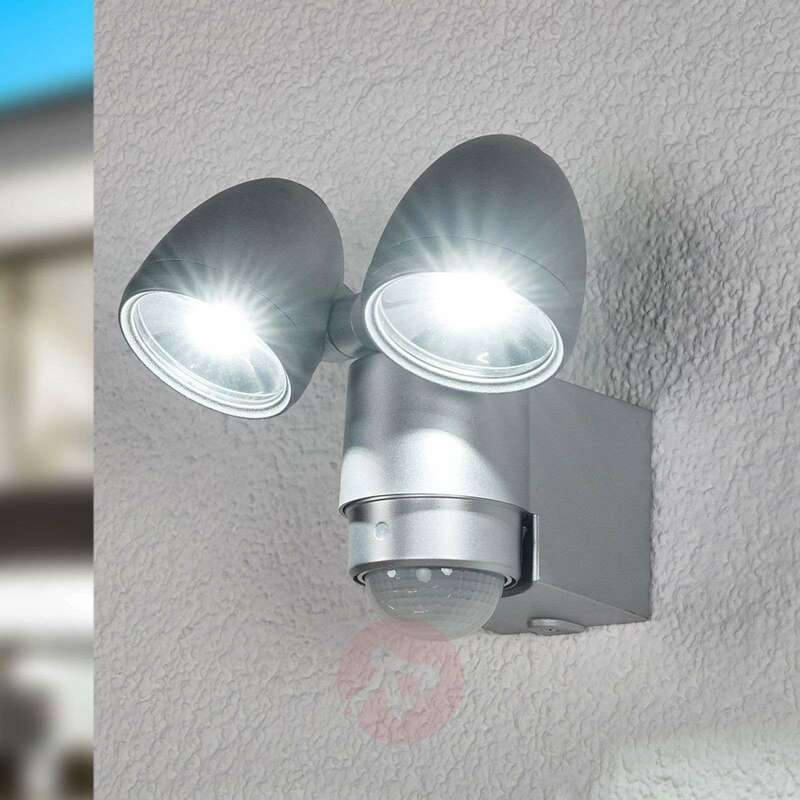 Whether used in an entry area or along the garage wall, RADIAL with its two flexibly alignable spots provides brightness anywhere in an energy efficient manner. 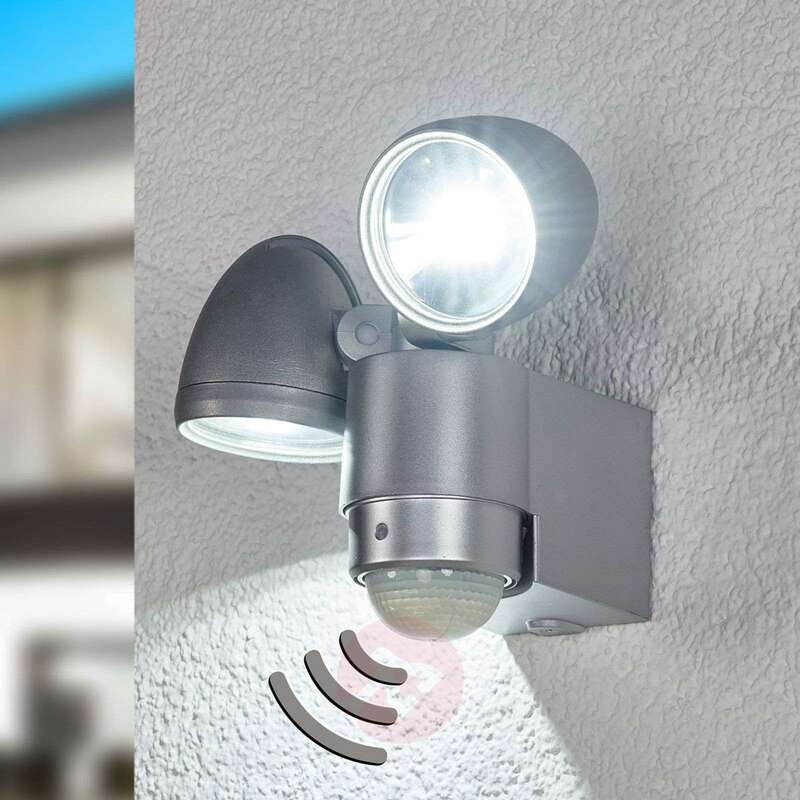 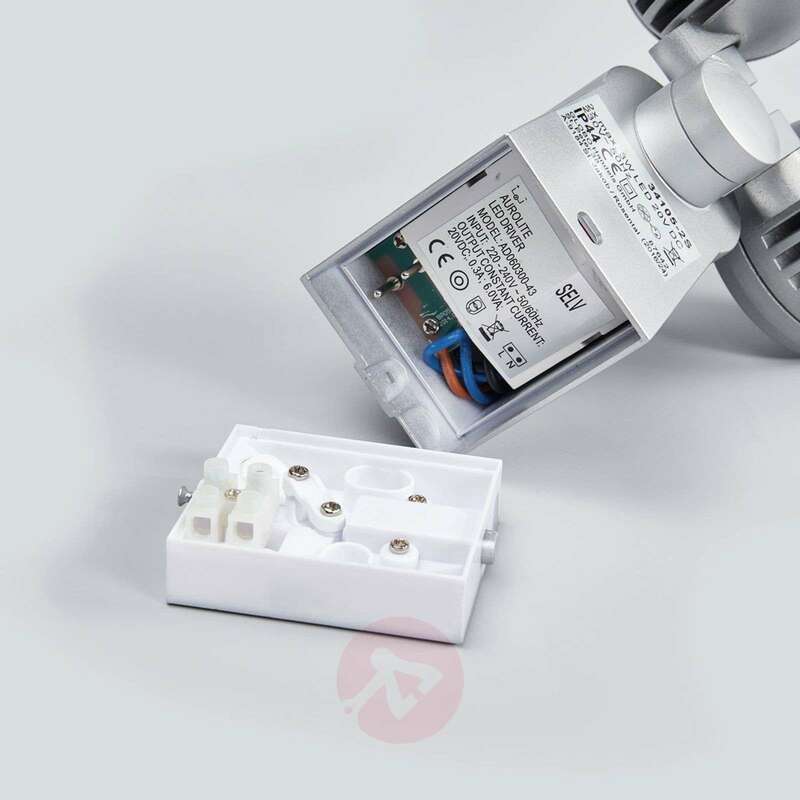 The exterior wall spot is equipped with a motion detector - coverage angle 130°, range up to 8 metres. 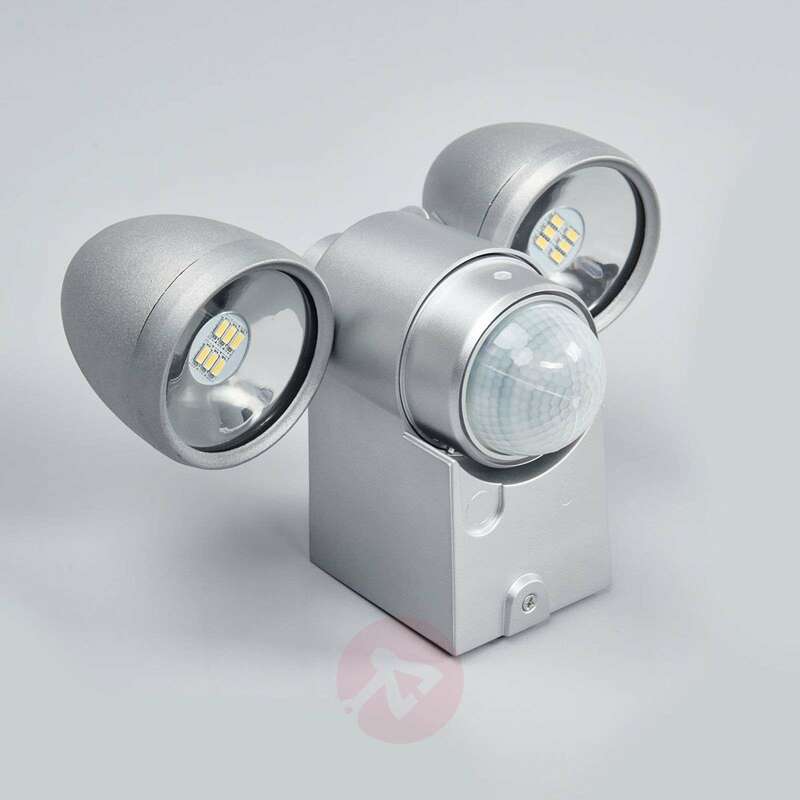 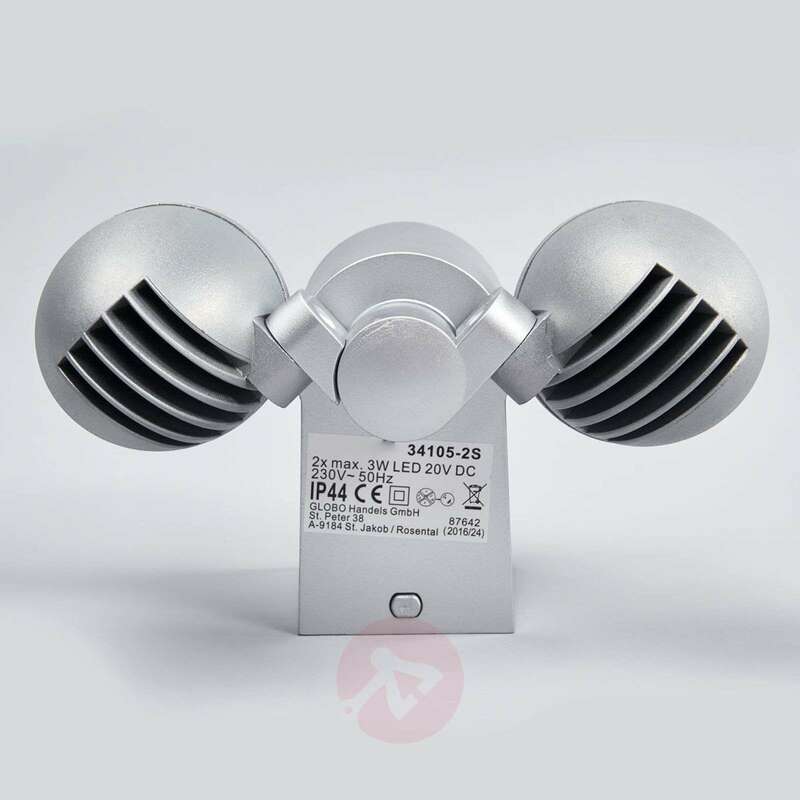 RADIAL is silver die-cast and shines with 2 3 Watt LEDs in the light colour daylight (6,500 K, 480 lumen).